Our library of books and hanging samples are color coded and organized so you can easily browse through them. They include not only fabrics for interior and outdoor use but also for high traffic areas in your home. 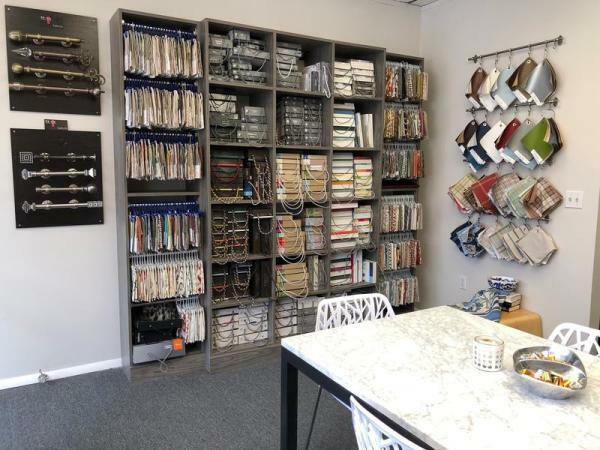 Once we see what color or design direction you want to go in we can guide you through finding the right coordinating fabrics and trim to complete your project. after your job is completed we can schedule to deliver and personally supervise your final installation as well. 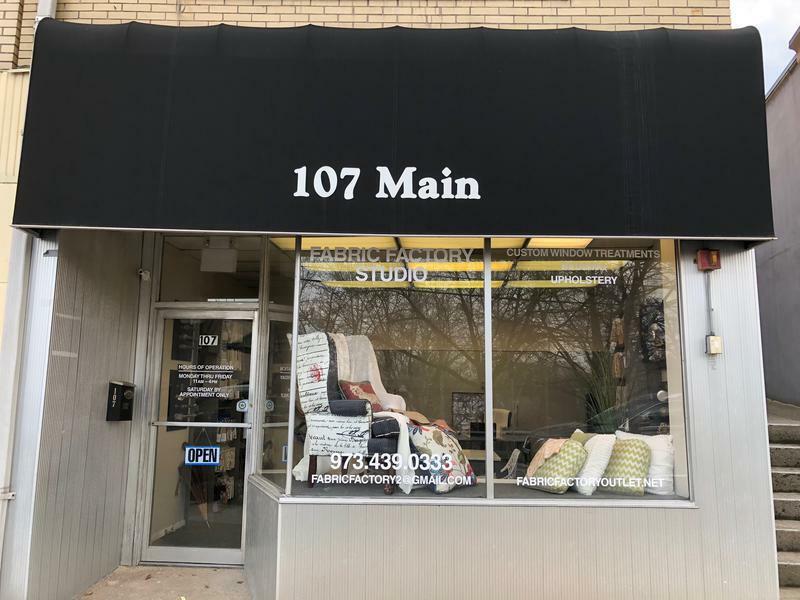 Our studio is located at street level so it makes it easy to drop off or pick up any fabric, drapery or upholstery orders. If you decided to stroll around down town you'll find some great local restaurants and shopping. "I can't say enough good things about the assistance that Daniel, the owner, provided to bring life to my vision or the workmanship put into reupholstering my chairs and creating cushions. The work exceeds my expectations and the were results are outstanding!" 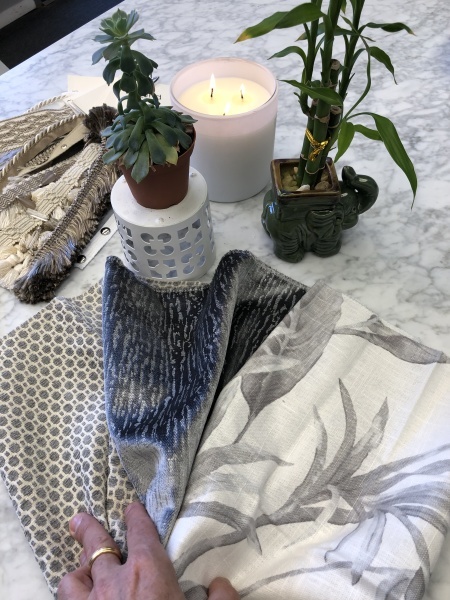 "My husband and I found fabulous drapery material and the owner, Daniel, helped us find complementary fabric for cornices and pillows. They delivered and installed the work and we were really pleased with the results! We recommend them highly." "Love, love, love this place! Helped me to design many great items at a great price. I've done window treatments, sofa recovering, and many pillows. I don't know that I can trust anyone else with my better pieces. I've only ever been impressed."